If you are in an opportune place to upgrade your Microsoft Exchange Server (especially if you are still running Windows Server 2003), you’re probably looking at a few different options. Sure you can upgrade to a newer version of Windows Server (i.e. Windows Server 2012 R2), switch to Azure, switch to a different email system, or migrate your company email into the cloud. The last option is fantastic for businesses looking to create more flexibility for their employees in terms of how they access their work information, including multi-device support. Additionally switching to Microsoft Exchange Online either as a standalone or as part of Microsoft Office 365 removes the responsibility of Exchange maintenance and monitoring from internal staff. One of the major reasons businesses hit the brakes and no longer want to pursue moving Exchange to the cloud is the process of cloud migration. A cloud migration requires a significant investment of time to ensure that it is painstakingly planned out, executed, and reviewed to make sure all items carried over from their on-site servers. In writing the process seems fairly straightforward, but when you’re dealing with terabytes of archived Exchange emails, the process gets a lot more arduous. While there are plenty of IT professionals out there who are experts in cloud migrations, even with proper supervision some companies still have trepidations about the process of moving their Exchange email to the cloud. Microsoft has listened to these concerns, and in response announced on their official blog that they will soon be releasing an option to make email archive migration simpler with the Office 365 Import Service. The new Office 365 Import Service has two different options that significantly decrease the time it takes to import PST files into Exchange Online mailboxes. Option 1: Ideal for smaller sets of data, it enables network uploads of PST files to Microsoft servers, which we then get imported into Exchange Online mailboxes. Option 2: Designed for larger datasets. 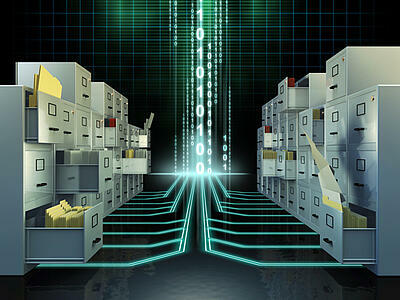 It allows users to copy PST archive files onto hard drives and mail them directly to Microsoft datacenters. Once Microsoft receives the drives, they copy the PST files to internal servers which then get imported into Exchange Online mailboxes. This service looks like the golden opportunities for businesses that have been looking to move their Exchange email to the cloud, but have either met with executive pushback due to the time requirements or just don’t have the staff on hand to oversee such an operations. The Office 365 Import Service is only available as a “public preview,” which translates to “it’s still in beta mode.” Moving terabytes of data via a buggy software feature may not be the best route for businesses. The free preview will be available through August 2015, but there is no set date for when the service will be launched officially. Additionally, it is only available for select versions of Office 365 including Office 365 Commercial and Office 365 Education. If migrating to Office 365 isn’t mission critical for your business, you can wait until Microsoft launches their import service officially, which also gives you time to plan ahead for the endeavor. If you are in need of a migration to cloud sooner rather than later, contact us to speak with one of our IT specialists to help you plan execute your cloud migration.